As I made the Regatta Quilt and linked it to the Blogger's Quilt Festival in October 2014 never did I imagine the positive feedback I got! More than half of all comments I received for this quilt are gone though because I changed the settings of my blog from 'Blogger only comments' to 'Everyone comments' at the beginning of 2015. Unfortunately that meant that all previous comments have vanished, but I opened up my blog to everyone to comment on future posts and that is a good thing. I never thought that the very first quilt top I ever made would reach such an enormous amount of people. The original blog post has been pinned over 14,400 times until now and counting! It has almost equally as many views on my blog. In fact this is by far my most viewed blog post of mine. More than two years after it was originally posted it still is the most popular post every year. With the rising popularity of the Regatta Quilt requests for a pattern came in. I was completely overwhelmed by these requests since firstly I never intended to write any quilt patterns nor did I know how do do that. And secondly the Regatta quilt kind of happened accidentally. I could never write a pattern how I actually made it. But I had so many other ideas and quilts I wanted to make and, honestly, that pattern was not my number one priority. I never would have thought that so many people wanted to make a similar quilt though. Requests kept on coming in. The more people asked and the more I needed to tell them that the pattern is still 'in progress' the worse I felt. I attempted this pattern about four times. 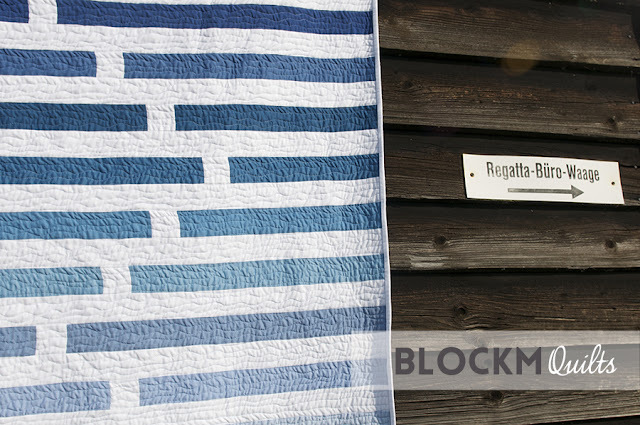 I knew without making another Regatta Quilt I would not be able to write a proper pattern. Since this is not a block- based design there has to be whole quilt. So I made another quilt! And a pillow! More about the quilt later. And today I can finally release the pattern. And you know what? I had fun writing it! At this point I need to thank Cheryl of Meadow Mist Designs for her Pattern Writing Blog Series, without that there still would be no pattern! If you're stuck writing a pattern I can highly recommend reading through Cheryl's blog series! And I also have to thank you for your patience! I still hope that some of you will make the quilt. 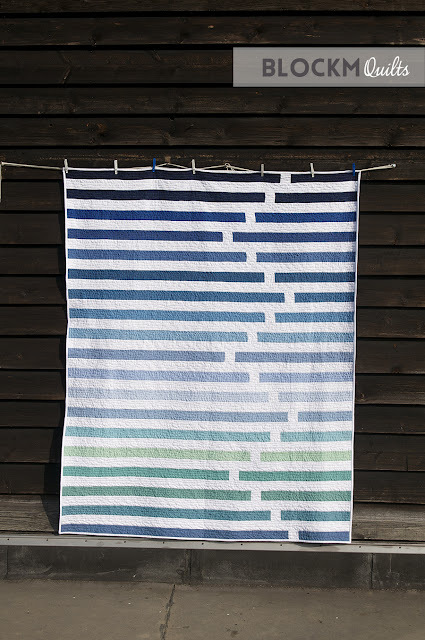 I know that releasing a pattern some two years late in this industry is a killer, but I don't see myself as part of an 'industry', I just want to make quilts. And I promise if there is any future requests for another pattern it will not take that long! Now, because you all needed to wait for such a long time I'm giving the pattern away for free. I don't intend to make any money from the pattern, I would be just happy to see a few versions of the quilt. 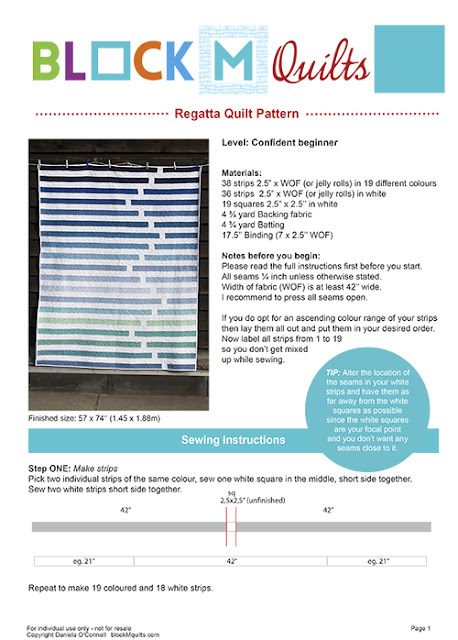 So if you do make a Regatta Quilt and if you'd like to share please use the #regattaquilt on social media such as Instagram. That would make me a really happy girl! Please contact me if you have any questions regarding the pattern! I am also linking this to Cheryl's Best of 2016 Linky Party because this is my biggest achievement of 2016 for sure! 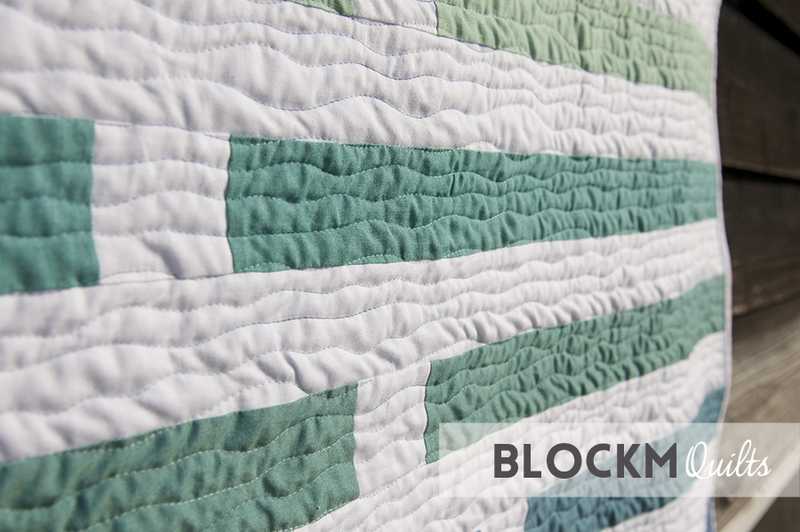 Also linking to Crazy Mom Quilts Finish Up Friday! Congratulations Daniela! This is such a great accomplishment, and so well done! Woohoooo!!! Thank you so I much, Sarah! Wooohooo indeed!! Wow, I guess sometimes the simplest designs are the best! Amazing reception on that regatta quilt. Popped by from the best of linky party. Thanks for your kind comment, Tami! Happy new year to you too! And thank you so much for commenting. Let me know when you have your version of the Regatta Quilt finished!! Lovely! So nice you can provide a pattern for your wonderful quilt. Congrats! Thank you, Debbie, much appreciated! Love this quilt and thank you for sharing a pattern! Happy New Year! You're very welcome! Happy new year to you, too! Thank you so much, Saija! toll, dass Du die Anleitung fertig hast.So beginnt das neue Jahr doch gleich wunderbar. Wenn ich über meine favorisierten Farben nachdenke, würde er am Ende wohl genauso ausehen wie Deiner. Er ist einfach traumhaft. Vielen Dank, liebe Mareike! Ich kann's gar nicht abwarten andere Versionen des Quilts zu sehen! Bin sehr gespannt! Your quilt is wonderful and congrats on the release of your first pattern!! Thank you so much, Cheryl! As I said without your brilliant blog series on how to write a pattern there would be no pattern! Happy new year to you, too, Teje!